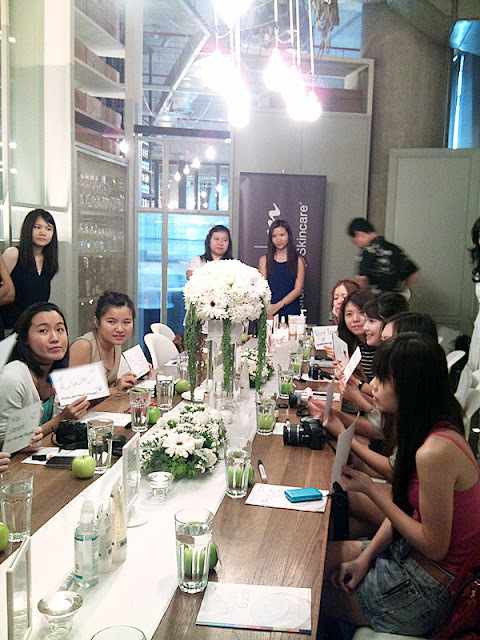 Thanks to Nuffnang again, I am glad to have a chance to attend my FIRST beauty workshop with the bloggers! A bouquet of flower, reminds me of wedding dinner. 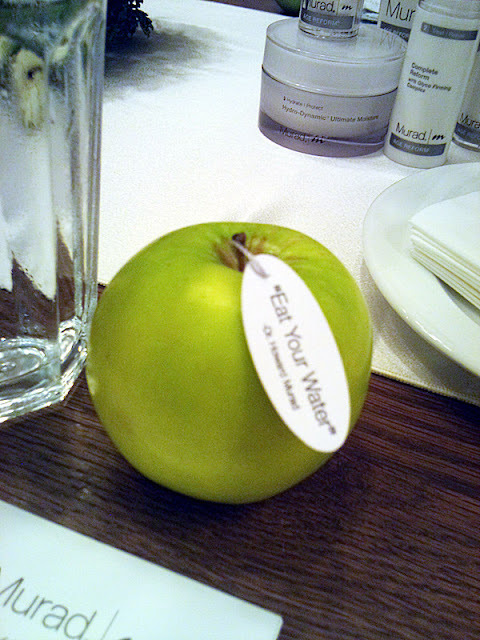 An apple with cute note: Eat your water! Bloggers were having fun with the Q&A game. As usual, I was the first one to be knocked out. How could I answer false for polar bear having black skin. Let us proceed ourselves with the pampering session. We were given a bottle of water, wet cottons, a towel and some sort of hair clip. The pink thingy was meant to hold your hair. NOT BAD LEH? I look so chubby and cutie and yippie here wtf. And my eyebrows are real, cool or no? 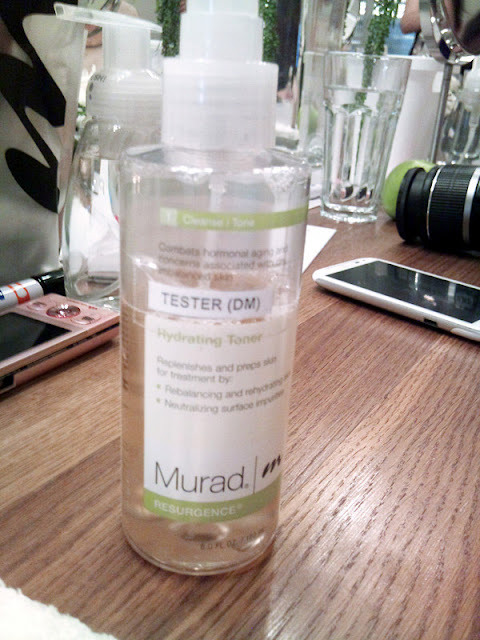 The Hydrating Toner from the Resurgence series. 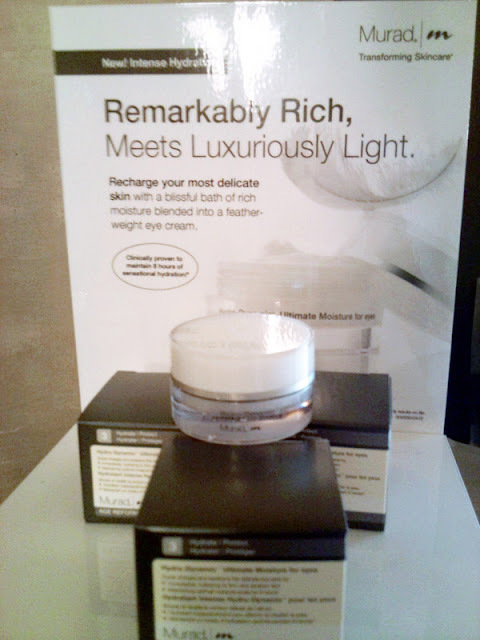 It helps to rebalance and rehydrate skin and neutralize surface impurities. I just love the smell and I don't mind spraying it onto my hair. 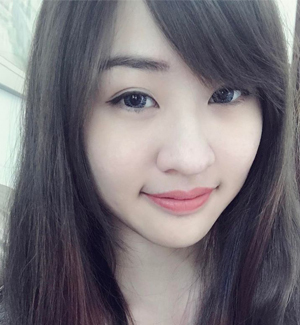 My hair can be healthier too! 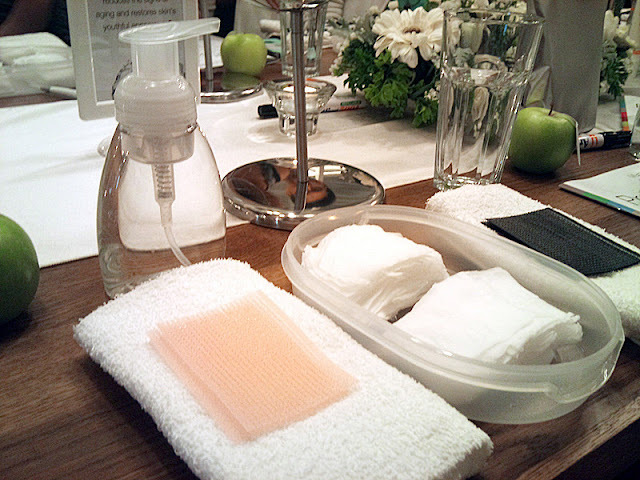 Here are the products we used during the workshop. From makeup remover till lip care. Here are the product series. 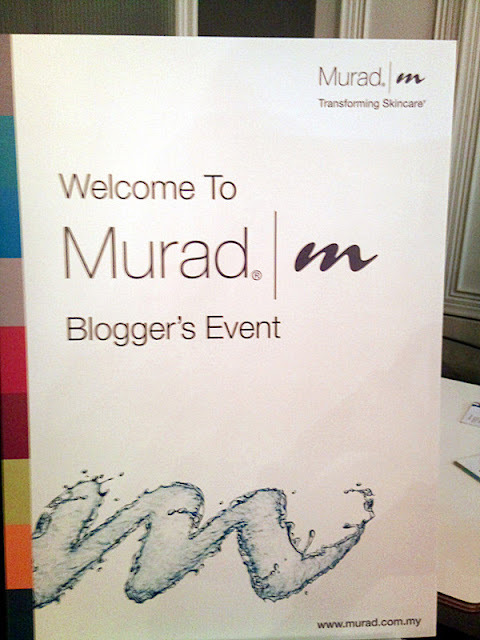 There are some were not displayed during the event especially the Murad Man series. Girls don't need man care, right? Acne breakouts are irritating, especially the redness and inflammation one have to endure and forcing not to scratch the pimples. 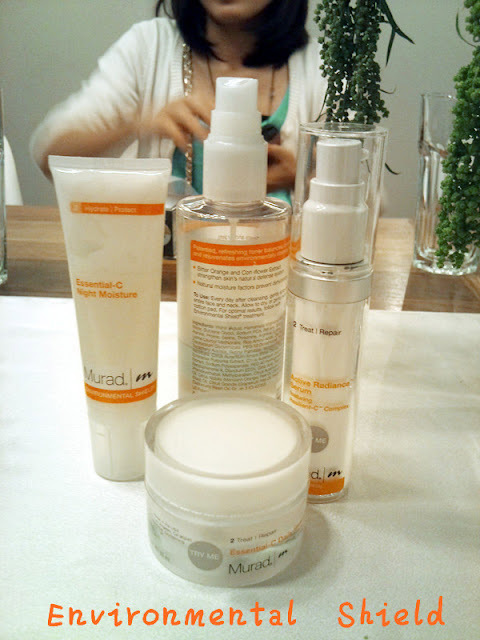 Thanks to the blemish control series from Dr. Murad, you can now solve your problem! 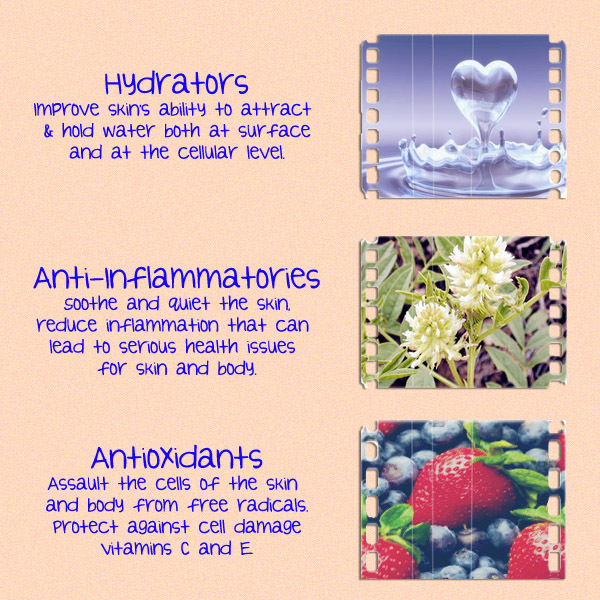 It its suitable to treat all levels of acne severity. 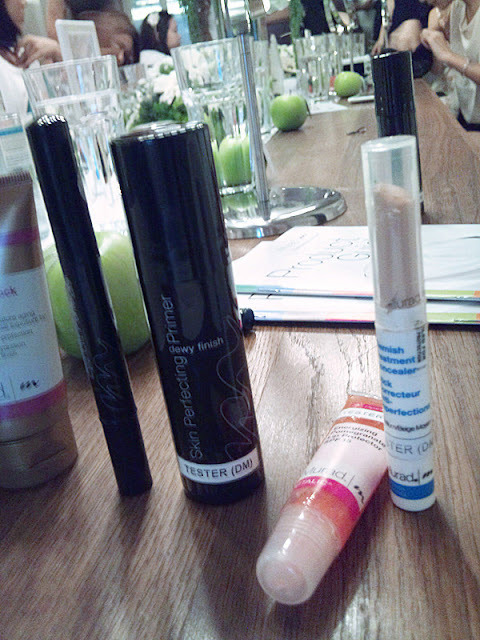 I personally love the Blemish Treatment Concealer. It concealed my red dots and the texture is so thin. Vitalic Series, including the mask below. Vitalic series are for the people who are concern on the T-zone shine, clogged pores and occasional breakouts. 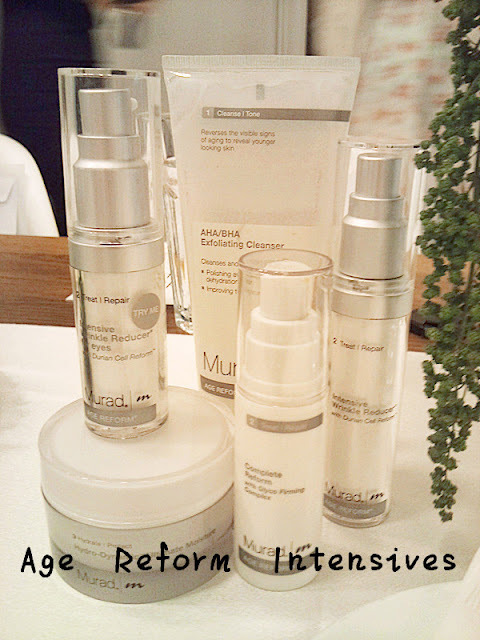 Chion suggested me to use this series because I have big pores and pimples scars, with dull skin. OK, my aim now is to get fresh and glowing skin! 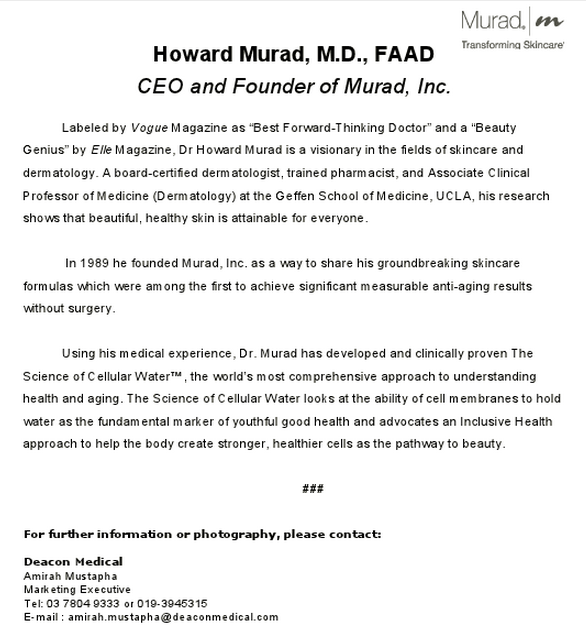 Dr. Murad,, you wait for me, I will get you when September ends. This is my favourite mask so far. I love the coolness and tingling feel after the application. 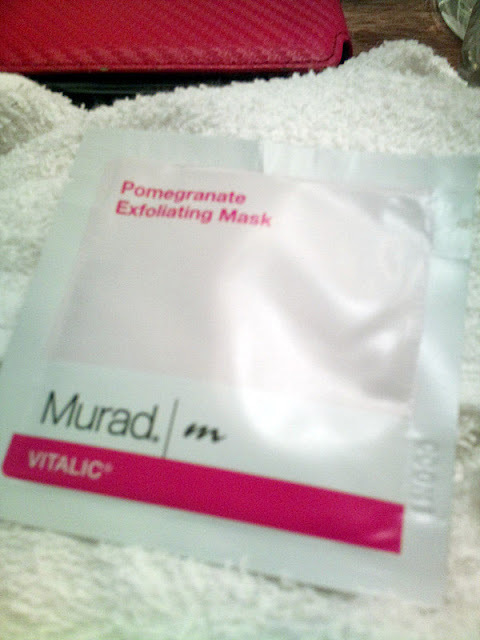 It is meant to keep the skin looking fresh and clear while restoring smoothness and brightness. 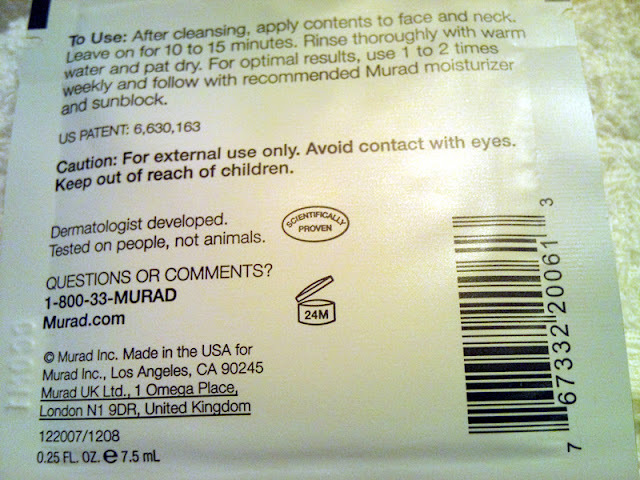 Anyway, I feel myself chio-er after I applied Dr. Murad's product. No kidding leh, especially the Skin Perfecting Primer. I can feel my face is so much smoother. Environmental Shield series are suitable for those who has age and sun spots, uneven skin texture and tone, fines and wrinkles. This series has rich antioxidant (Vitamin C) which helps to restore the clarity, texture, elasticity and firmness of the skin, as well as fading pigmentation and smoothing out fine lines and wrinkles. As the name has already stated, Age Reform series are well perform for older aged people who has fine lines, wrinkles and creases on the face. The series also treats sagging, dull and dry complexion skin. The series do not necessarily targets only to older people, but also to those has the problems as well. Believe it or no, I have this! 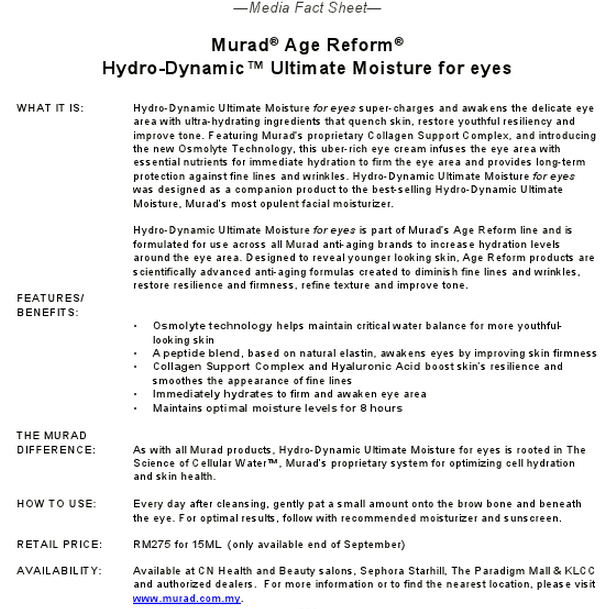 The Hydro-Dynamic Ultimate Moisture For Eyes! This is only available by the end of September 2012 but I got it first hand from the workshop. Special thanks to Nuffnang and Dr. Murad again. This eye cream helps one to firm the eye areas and provide long-term protection against fine lines and wrinkles. 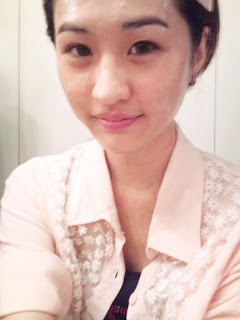 I think it is good for me because I tend to have fin wrinkles beside my eyes when I smile. Sigh, have to admit I am getting older. These are my precious of the day! I must highlight The Hydro-Dynamic Ultimate Moisture For Eyes because it is a product for the bloggers to try on before it is on sale on the end of September. I have the samples for mask and eye-cream, with a pedometer. 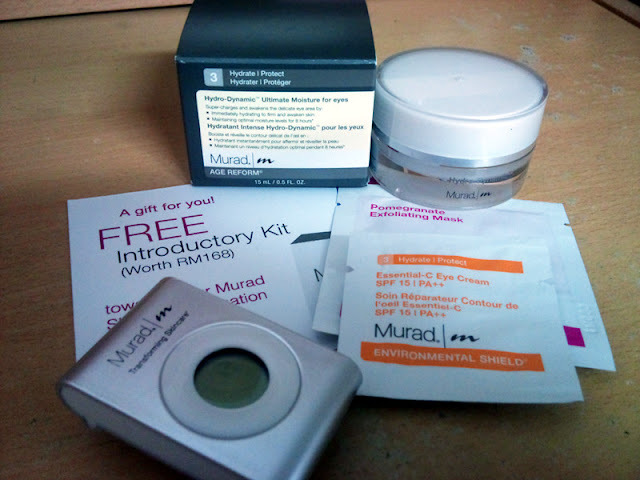 Lastly, a voucher for FREE Introductory Kit worth for RM 168! Stay tune for the review of Introductory Kit! 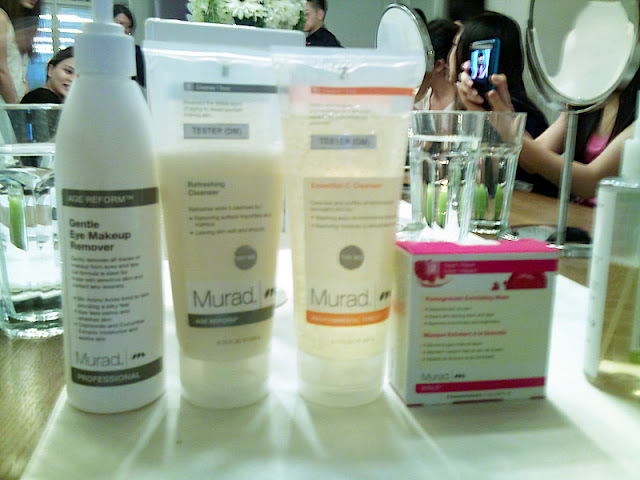 Dr. Murad is available in Sephora Starhill. 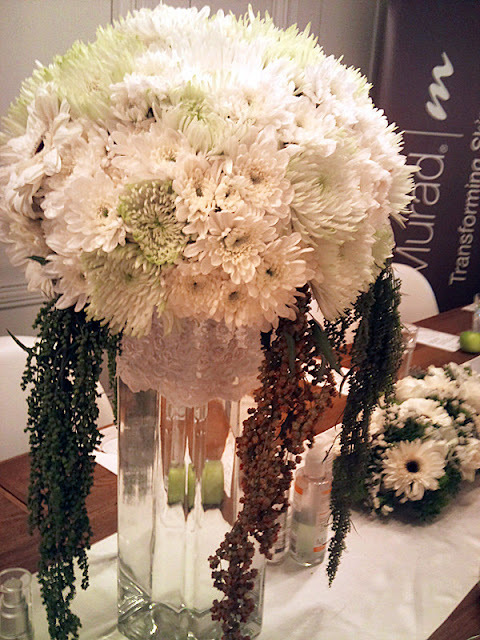 Once again, thank you Nuffnang for giving me a chance taking part in Dr. Murad Workshop! LOL. Don't la. I starting to fancy it leh. Great fun time with u girlssss and Dr. 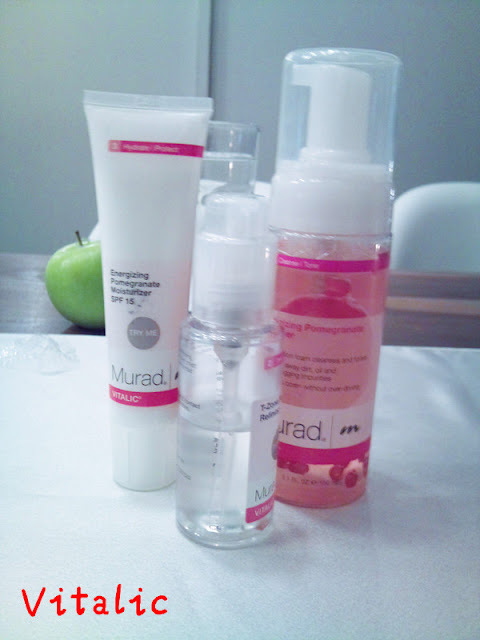 Murad!! Of course my sweet furfer too... So happy to see u thr!! muack LOL. Let's go out some day leh. Nice one. Good to know you enjoy with them! 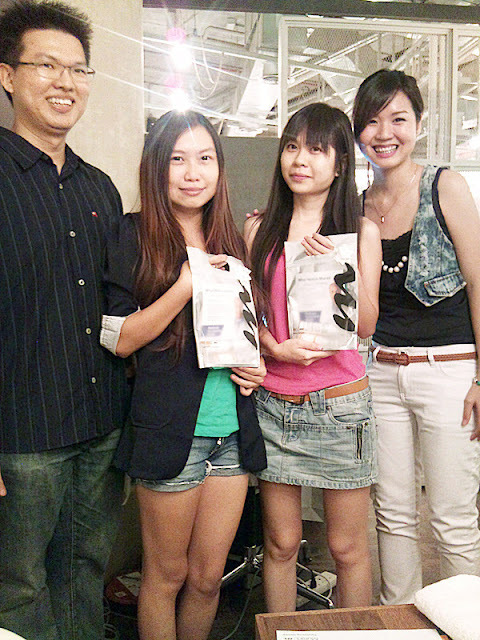 yeap~ Had fun at the workshop. Hope can meet you someday ! XD. I found you too! Nice meeting you too!